Biggleswade is a small market town on the river Ivel in Bedfordshire, and this book provides a fascinating history of the pubs in the town over the years and decades. 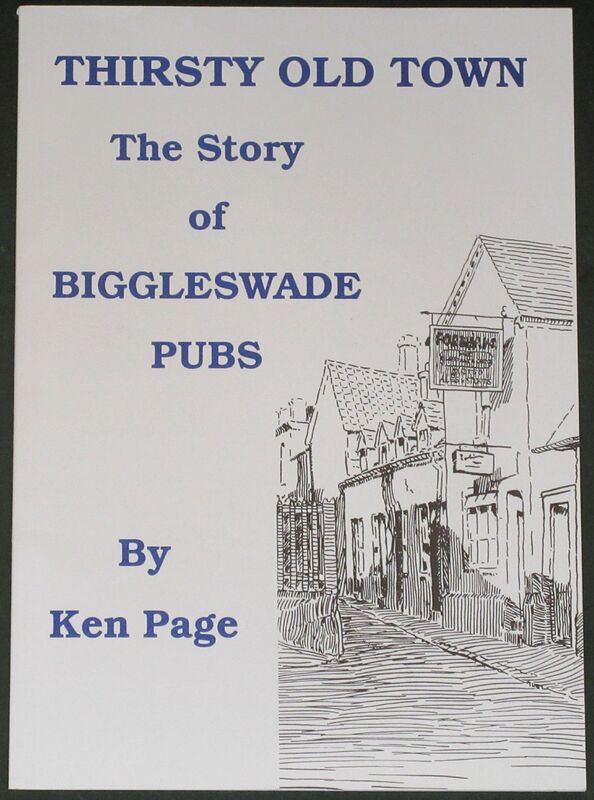 From the introduction: Biggleswade has always been well provided for public houses with records dating back to the 16th century. It is difficult to give precise numbers prior to the licensing return of 1876, when there were a definite 52 pubs in the town. I have included the Lion at Bells Brook, actually located in Northill parish but accepted as a Biggleswade pub. Earlier returns made between 1824 and 1.829 list only 22 pubs in the town. All our present public houses are fully licensed. References to pubs in the text refers to licensed premises generally. Pubs are gazetted in locations to make it as easy as possible to follow a trail and find pubs and sites. A sketch plan showing approximate locations of 1876 sites is included as well as 144 photographs. I have named as many licensees as can be traced, giving years of occupation. These were compiled from many sources, including Greene King and Charles Wells records, county archives, old deeds, Biggleswade Chronicle reports, licensing lists and trade directories. While every effort is made to make these as accurate as possible, they are only intended as a guide and family historians should check before using names and years as positive sources. Where dates are not concurrent or are missing, information was not available. Many male licensees followed other occupations with their wife running the pub during the daytime. These are shown where known but the list is not exhaustive. Addresses are given to help find present locations, but as houses in the town were not numbered until 1914 these were not necessarily used for pubs closed earlier. Condition of the booklet is generally excellent. The covers are clean and bright, the spine is intact, and all pages are clean, intact, unblemished and tightly bound.